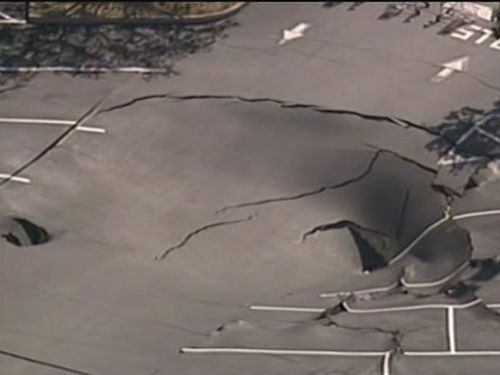 Winter Haven, Florida -- Winter Haven police say a possible sinkhole has opened up on Cypress Gardens Blvd, in the parking lot of a Publix shopping center. This is right across the street from Legoland. Police say the hole is about 70 feet wide and 15 feet deep. The parking lot continues to buckle in areas out from the hole. 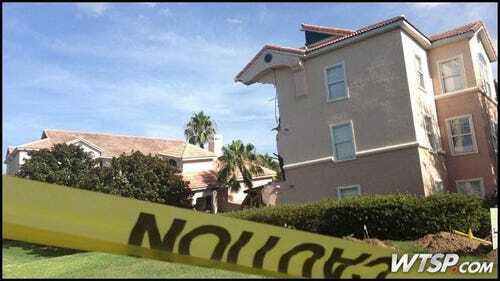 The property owners have contacted geologists to come out and evaluate the hole. No structures are threatened at this time. The main concern is that if its near Cypress Gardens Blvd, that could pose a problem to traffic and roadway. In addition to the Publix grocery store, the shopping center houses a Kmart and a host of smaller businesses. Four of the stores are closed while geologists investigate the sinkhole.